CPI General Secretary Suravaram Sudhakar Reddy Wednesday slammed Telangana Chief Minister K Chandrasekhar Rao for not constituting a full-fledged Cabinet even after two months of assuming office. "This shows his (Rao's) carelessness and irresponsibility," Reddy said. 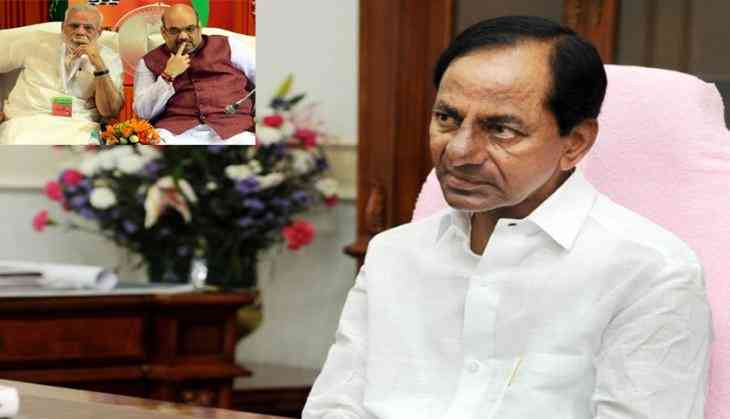 Rao was sworn in on December 13 last year after his party, the Telangana Rashtra Samiti (TRS), swept back to power for the second consecutive term with a thumping majority. Mohd Mahmood Ali also took oath along with him and he was allotted the Home portfolio on the same day. Since then there has been no Cabinet expansion. "I am really surprised. Nobody is able to tell the reason. I think he (Rao) is in a fix how to select the Cabinet colleagues; he is confused that there would be dissent from large section of people (who miss out on Cabinet berths)," Reddy told PTI. "As a matter fact, had he done (Cabinet expansion) within a week, there would not have been any problem. Now, too many aspirants. I think it's very funny that even after 60 days, he is unable to form a (full-fledged) Cabinet. This shows his carelessness and irresponsibility," he said.